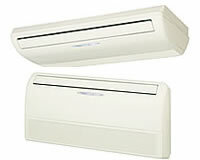 Daikin Multi Split Systems Available in R410A shown on this page OR for please follow this link R32 Refrigerant System. The Daikin Multi Split Air Conditioning System allows up to 5 indoor units to operate off a single outdoor unit, thereby reducing installation space and costs. Each multi split indoor unit can be individually controlled and do not need to be installed at the same time - extra units (up to a maximum of 5) can be added later. Wide choice of multi split indoor units are offered including — wall mounted, concealed ceiling, floor standing, ceiling cassettes etc - differering capacities can be mixed together in Multi split system applications. 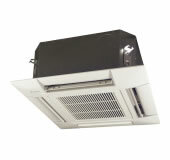 This allows the ideal indoor unit to be selected for the bedroom, living room, office or wherever air conditioning is required. Once you have established the amount of cooling or heating required for each room (for help go to our Cooling Calculation Help page), refer to the selection charts to determine the fan coil units size that is required to provide the required duty. 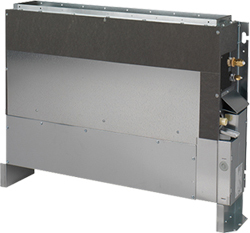 In the example below, the cooling from the fan coil unit combinations that most closely matched the required duty for Room A was a Size 25 fan coil unit providing 1.55kw of Cooling, Room B was a Size 35 fan coil unit providing 2.15kw of cooling and Room C a Size 50 fan coil unit providing 3.09kw of Cooling. The outputs were matched with a 4MXS68 Multi Split Condensing Unit. 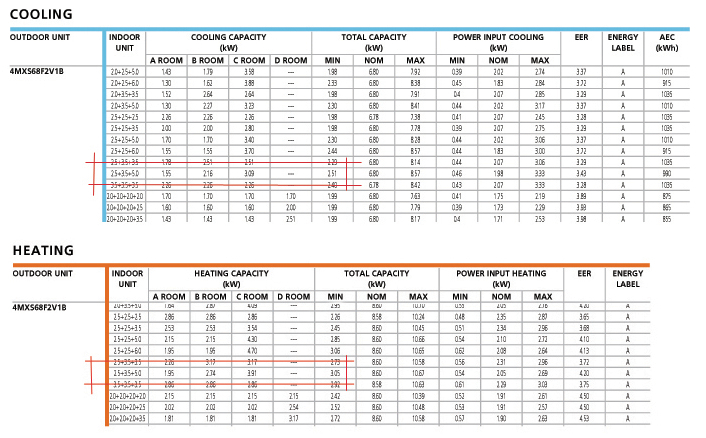 Heating Cpacities can be determined on the Heating Selection Chart using the same fan coil unit size combination and condensing unit. If you require any help or assistance, please contact speak to a Sales Engineer. You will notice for example that a size 50 fan coil unit in a single split system would have a nominal duty of 5.0kw but its share of the Condensing unit capacity the fan coil unit provides only 3.09kw.